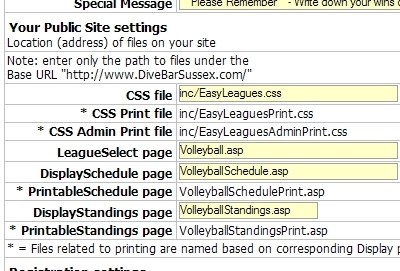 As shown in the image at right, configuring the EasyLeagues.biz site to integrate seamlessley with you site is very easy! You should note that some of the page filenames are derived from other names. Be sure that the information you enter into the settings page is accurate and that filenames related to printing match the derived name.